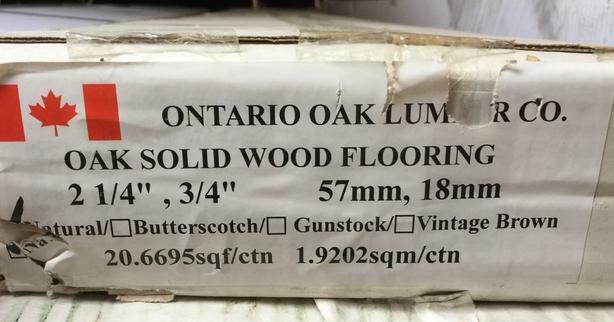 I have 25 boxes of 3/4" oak hardwood flooring for sale at a price of $3.50 per sq. ft. Each box covers approx. 22.4 square feet for a total of 550 sq. ft. at a total price of $1925.00. There are 22 boxes of 3-1/4" wide boards and 3 boxes of 2-1/4" wide boards. It's a beautiful colour to suit any decor. We purchased it for a project that we never completed. Depending on where you live, delivery may be included. If interested, please call 403-935-4362. PLEASE NOTE: This number DOES NOT accept text messages. If no answer, please leave a message and we will get right back to you.